Now in its 7th year, the Manga Translation Battle is introducing a new contest within a contest, this time it’s pro vs. pro, going head-to-head translating chapters from three manga series, in a series of elimination match-ups, with you, the readers as the judges. What goes into a “good” manga translation? What sets a professional translator’s work apart from an amateur? These are questions that are often asked by and argued amongst manga readers, editors and translators. A machine can do literal word-for-word translation, but manga translation requires not just knowledge of the Japanese and English languages, but also a keen awareness of culture, history, slang, voice and tone, and the ability to capture the intent and mood of the original work AND still be enjoyable to read in English. Since the beginning of the Manga Translation Battle, one of the goals of the contest has been to showcase new and up-and-coming manga translators from all over the world. Over the past incarnations of the contest, professional, semi-pro and amateur translators have taken up the challenge of translating manga, and some of the past winners of the contest have gone on to careers as pro translators. The eight invited competitors are professional Japanese-to-English manga translators, including a few past winners of the Manga Translation Battle, who have gone on to translate the past MTB featured manga titles like Nichijou: My Ordinary Life by Keiichi Arawi (available now from Vertical Comics - http://vertical-comics.com/books/nichijou_01.php) and The Children Nowadays by Kiriko Kubo (available now from VIZ Media - https://www.viz.com/the-children-nowadays ). If you’ve read and enjoyed manga from Kodansha Comics, Yen Press, Vertical, and Seven Seas, you may have read a title or two translated by our invited pros. Many are not just manga translators, but also translate and localize light novels and games too. Now they’ve got a new challenge to tackle: to translate a 20-page excerpt of a manga and have readers rate their work vs. a fellow pro. 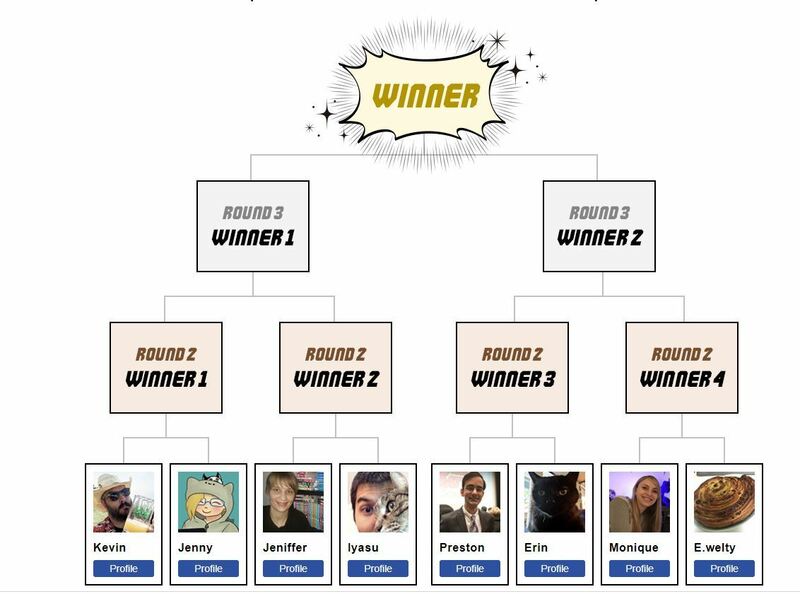 If their translation gets the most votes from readers, then they’ll move on to the next round, where they’ll be translating 20 pages of a different manga, and having their work pitted against a new competitor/translator, until there are only two finalists, who’ll go head-to-head to see which translation will rise above the rest with readers. 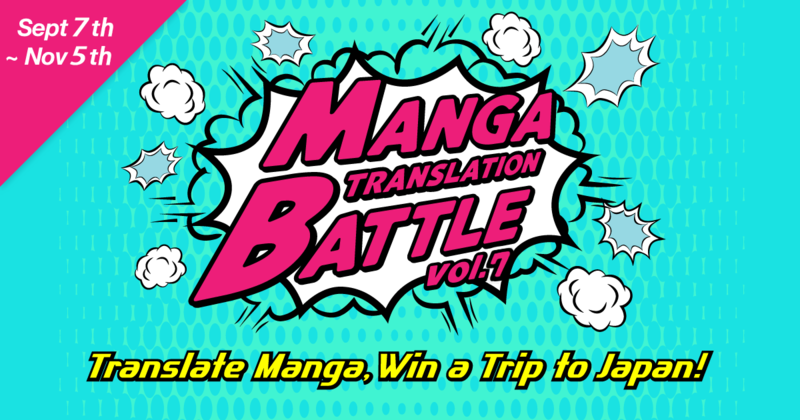 The winner will take home the grand prize of 100,000 yen, and earn bragging rights as the 2019 champion of the Manga Translation Battle of Professionals! The 8 contestants will be translating Chuukan KanrirokuTonegawa (a.k.a. Middle Manager Tonegawa), a comedy spin-off from the Kaiji series about a beleaguered executive at a kind of shady financial services firm, created by Nobuyuki Fukumoto, Tensei Hagiwara, Tomohiro Hashimoto, and Tomoki Miyoshi, from Kodansha. The remaining four contestants will be paired up against each other to take on Patalliro!, a long-running shojo manga comedy series created by Maya Mineo, published by Hakusensha. Now up to its 99th volume in Japan, Patalliro! offers a quirky mix of fun, adventure and romance as a genius prince with destructive psychic powers thwarts a series of pretty boy assassins. The final two contestants will then take on translating Kingdom by Yasuhisa Hara, published by Shueisha. The winner of Tezuka Osamu Cultural Prize in 2013, Kingdom is an epic tale set in the Warring States era of Japan, about a young boy who fights his way to becoming a legendary general. Take a look at the first round of translations, read, and get ready to vote. Your picks will determine who’ll be the winner of winners in the Manga Translation Battle of Professionals! Click the banner to be taken to the Manga Translation Battle: Battle of Professionals Homepage! The winners were honored, unexpected guests made appearances, and a symposium on the future of manga abroad was held. William Flanagan talks about 4 of the stages you go through during the early stages of your career as a translator. Manga Translation Battle submissions close November 4! A difficult and sometimes controversial aspect of a manga translator's work is deciding how to interpret accents and regional dialects from Japanese to English. Professional manga translators and editors from North America chime in on their challenges and best practices. Manga are full of illustrations. They’re fun and exciting to read. This leads to a common misconception that manga translation must be easier than other types of translation. But those who underestimate the medium’s unique challenges do so at their own peril. Learn how to make Japanese sweets and get some insight into the mind of mangaka Rin Asano!